No remote? No problem. The Sony MEX-N5100BT can be controlled via your smartphone (not while you're driving, please) for ease of use. 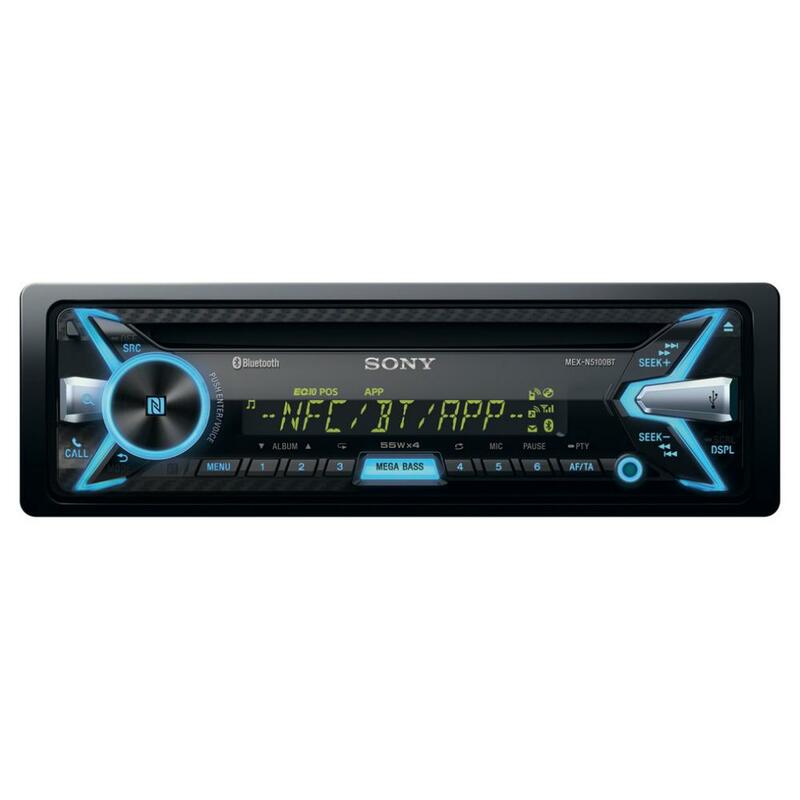 Sony's understands that your smartphone is a big part of your life, so the MEX-N5100BT CD receiver offers plenty of ways to use it with in your car audio system. Sony's App Remote feature lets you take charge of selecting sources, picking radio stations, and launching apps from your phone's touchscreen, while on the other side you can select apps using the stereo's source button, the same way you'd choose the CD player or radio as your source. Best of all, App Remote lets your phone work as a display for the receiver, so you can see album art, track info, caller information, and more on your phone, rather than reading it off the receiver's single line display. Connect to compatible iPhones® through Bluetooth® and you can activate voice commands and inquiries from the receiver. Speak your commands and you'll hear your iPhone response through your car audio speakers. And this receiver will notify you of any incoming text messages, so you can keep your eyes on the road. Typical of Sony, another great product.replaced my old Sony unit. Awesome sound, value for money. A great fan of Sony products.well done Sony!!!!!!! Purchesed a Sony MEX-N5100BT Bluetooth car stereo system with Front USB/AUX input. Will this fit into my car has factory fitted radio in atm? The MEX-N5100BT can be installed in your VW Golf MK5. You will need the below listed parts for installation. I have a 2010 Clio with steering wheel controls what would I need to fit this stereo to my car? thanks for your question, we have shown some parts below for you including 2 different SWC harnesses, the correct one depends on your original car plugs. Will this stereo fit my seat Ibiza 2004? Thanks for your question, the MEXN5100BT can be fitted into a 2004 Ibiza. I have a 2009 Punto with "Blue and Me" fitted. If I put this radio in, and remove the Blue and Me connectivity, will it work with the steering wheel controls and mike already built-in to the car? Thanks for your question, you may need a blue & me adapter, the Sony has its own independent mic, steering wheel controls can be maintained with the correct CanBus adapter. Got all the right parts / leads to work with stalk control. Not easy to understand p17 to fit it with stalk control. Can you give any tips to fitting if. can you please give us more details on the car that you are fitting this radio to and its year? Will this stereo fit my car? Or will I need any additional parts? Tried looking for fascias but I found it difficult to locate the one needed for my vehicle. thanks for your question, the MEX-N5100BT should be a straight fit into your car. will this fit my car, thank you, Stuart. Please can this fit in my car VW beetle 2000.and what are the components . The Sony MEX-N5100BT can be installed in your VW Beetle. You will need the following parts for installation. Would this fit my 2005 corsa sxi, if so what else would I need . Does this sony stereo fit a Clio 07 plate. And how long do you get to return this? The N5100BT can be fitted into a 2007 Clio, with a fitting kit like the one shown below. You would have to contact the online team on 03301234021 regarding returns. thanks for your question, without seeing the vehicle & which connectors it has behind the factory stereo, it is difficult to determine as there are several from 2006 onward. If the car has steering wheel controls then a Can Bus harness is required (some listed below), if not then an ISO harness is required (again, below). Also an aerial adapter & patch lead if the Can Bus is used. As stated, a technician would need to check for the correct connectors. would this fit my car peugeot 307 sw se hdi year 2003.what other cables would i need. 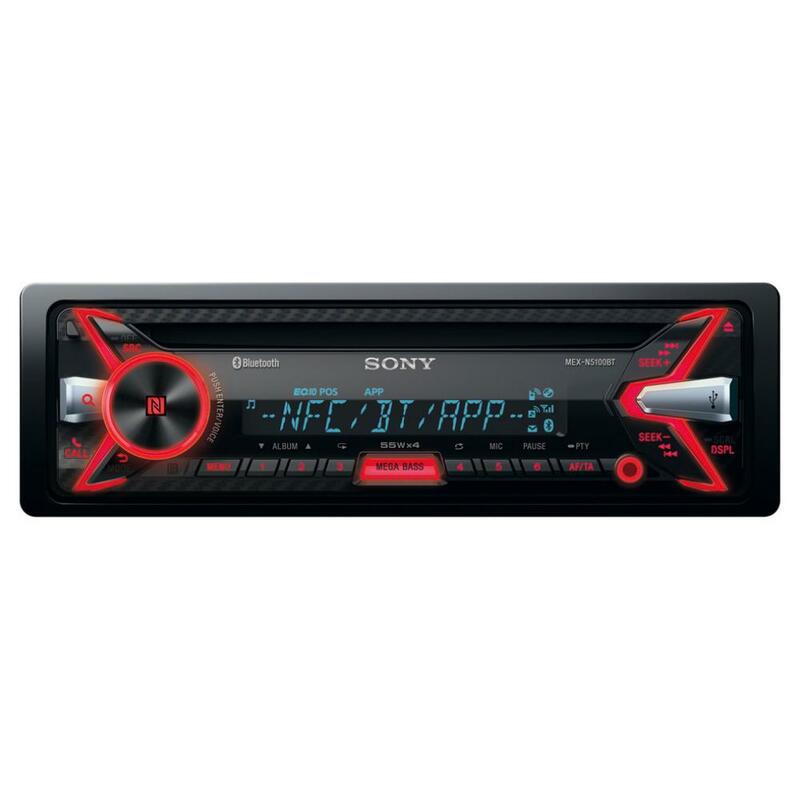 The Sony MEX-N5100Bt can be installed in your Peugeot 307. You will need the below listed parts for installation. What adapteris it fir the remote wire that fits to the back of the stereo? Thanks for your question, it is not clear which adapter you require, is it for steering wheel controls? What do you mean by 'remote', normally the remote cable is the blue or blue/white cable on the connector or harness.